The Hidden Treasures of Letterboxing | PrimeYours! The first time I heard about letterboxing, I thought it was some new sick sexual move. Turns out, it’s not. It is one of the fastest growing outdoor activities to hit North America. Introduced in North America officially in 1998 in an article written by the Smithsonian, it is said to have started in 1854 in Dartmoor, England. Dartmoor is now a National Park where it is estimated between ten and fourty thousand letterboxes are hidden. But what is it, and how is it related to your health? 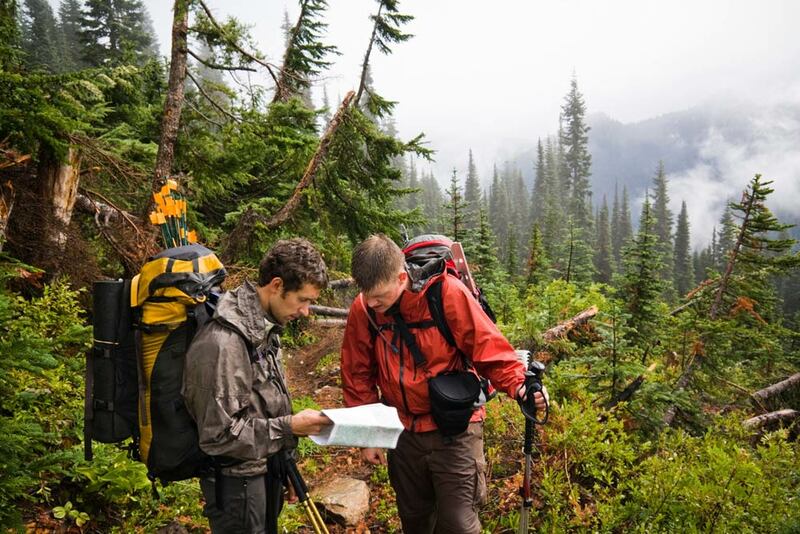 Letterboxing is an activity that combines hiking, orienteering, mapping and treasure hunting. It is an incredible activity to get involved in, as it departs from current fitness culture that is vastly promoted as indoor work, and takes your fitness into the outdoors. Instead of forcing yourself to walk for 30 minutes on a treadmill and getting nowhere, why don’t you hit the bush and go hiking for a couple of hours to find a buried treasure? It’s like your own mini-Amazing Race every time. The benefits are to your health, and to some extent, to the health of the planet. The quest of a letterboxer is basically to find clues to letterboxes (waterproof containers hidden outdoors in weird and wonderful locales) and to place their mark on it. If it sounds simple, it isn’t. If it sounds intriguing, read on. Letterboxes are hidden by other letterboxers. In a letterbox, you will find, at the very least, a notebook of sorts (to log of who has visited) and a rubber stamp that is unique to this letterbox. There could be other things enclosed, like a clue to another letterbox, or even a “hitchiker” letterbox that you are to take with you and place at the next letterbox you find. Is this getting confusing? In order to find these letterboxes, you will need clues. Many of these clues will be found on the Internet on other letterboxer sites. The community is growing in North America, but there are also growing contingents in Europe, Asia and Australia. It a great activity to look forward to on your travels. Of course, the most sites are in Dartmoor, where you can buy catalogues of clues. Word of mouth is also another source of clues. Before you get involved in letterboxing, there are few skills you need to hone and materials you need to acquire. Many of the clues and trails will not only require some good hikes into the wilderness, they will require basic orienteering skills. Remember when your gym teacher made you find flags in the field with a compass and some co-ordinates? Never thought you’d use that did you?! Orienteering consists of mapping, triangulating, pacing and compass skills. These will all help you in figuring out clues and finding your letterbox. You can learn this on the Internet, with a book from the library, or, if you prefer hands on training, many community centres or outdoor fitness centres offer courses in orienteering. As you are working on those skills, you will want to start assembling materials. Two things you will absolutely need are a small journal or notepad and a rubber stamp. The journal is to record the stamp that you find in the letterbox. Your stamp will be used to record your visit in the letterbox log book. Because this stamp is your signature, you want it to reflect your personality, but you also want it to be unique. For this reason, letterboxers are encouraged to either make their own stamps or else commission a rubber stamp maker (yes, there is such a thing) to make a design of your choosing. This is the artistic aspect of the activity. If neither of these options appeals to you, you can always buy a store-bought stamp or write a message in the log book in pen, but be prepared for the uber-boxers to shun your amateur approach. They are a finicky bunch. Since you are using stamps, you will also have to carry an ink pad with you. Aside from basic orienteering and your fancy stamps, letterboxing is generally a really good hike with a prize at the end. You will need some really good walking shoes, or hiking boots, depending on the type of terrain you are conquering. Many people find that if they are walking on uneven terrain, a walking stick or walking poles are helpful in providing them stability. Also, bring with you a compass or a handheld GPS, map, water and a snack (it is hard to tell how far you will be hiking sometimes, so be prepared!). As with any hiking excursion, if you are going alone, always let someone know your agenda and the general area where you will be. Keep an eye on the weather and always make sure you do not put yourself into any dangerous situations. In the benefits column, hiking is considered an excellent, low impact way to stay fit and lose weight. If you are hiking outdoors, you are more likely to run into tougher terrain than on your treadmill, no matter what incline you choose. Unstable terrain gives you a fuller body workout than a stable surface, as you have to activate more muscles, and stabilizers, in order to stay on your feet and propel yourself forward. Also, because you have a destination, or purpose, being the letterbox at the end, you have an extrinsic motivation to stick to the activity, as opposed to the intrinsic motivation you have to muster up to stay on a treadmill. You are more likely to hike for 2 hours than you are to stay on the treadmill for 45 minutes. Physically, there are many benefits to hiking. This low-impact workout works primarily the glutes and quads, although it activates many more muscles in the body. As an aerobic activity, it is a heart-healthy exercise that can help lower blood pressure and prevent heart disease, as well as help you lose weight. Hiking improves arthritis by building muscles to support joints, as well as by making joints limber. Hiking also slows the rate of calcium loss in the bones, preventing the onset of osteoporosis. There also studies that show that it helps prevent or control Diabetes by lowering the amount of insulin in the blood stream. Aside from the obvious (and almost effortless, when you have a goal in mind!) health benefits, there are environmental benefits to letterboxing. One of the primary rules in letterboxing is a respect for the environment. Access to the hidden boxes should not impact the natural surroundings: the boxes should not be buried, but instead hidden in natural holes and crevices; letterboxers are discouraged from placing too many boxes in close proximity, in order to avoid concentrated traffic in one area; and boxes should not disturb the natural habitats or obvious feeding grounds of wildlife. Hiking outdoors promotes not only physical well being, it promotes environmental well being when we are encouraged to interact with the natural world, appreciate its wonders, and leave the least amount of impact possible. It is a healthy philosophy that cannot help but be transferred to your everyday life.